God is calling us to a closer walk with Him. This is the only way to launch us into the realm of His divine blessings. The blessings and miracles of God are exclusively reserved for His children. It is only the elect of God that can be assured of His blessings. One question we must always remember to ask when we read of or hear God make a promise is: am I the one God is referring to? Do I qualify to be blessed? God's blessings are only reserved for those who live holy. To be assured of the blessing of the Lord, you need to be righteous. Every sin in your life reduces your chance of being a full beneficiary of the goodness of God. This is why you need to find out (and be sincere in your search) if there is any sin hidden in your life. Ask yourself: what are those things that can limit the flow of God's blessings to my life? God has given us all things, but they will not flow into the lives of those who are not living according to His pattern. You can determine how far you want to be blessed in God. It is a function of the relationship that exists between you and God. This is why you need to ensure that nothing hinders your relationship with Him, so that there can be an uninterrupted flow of blessings to your life. 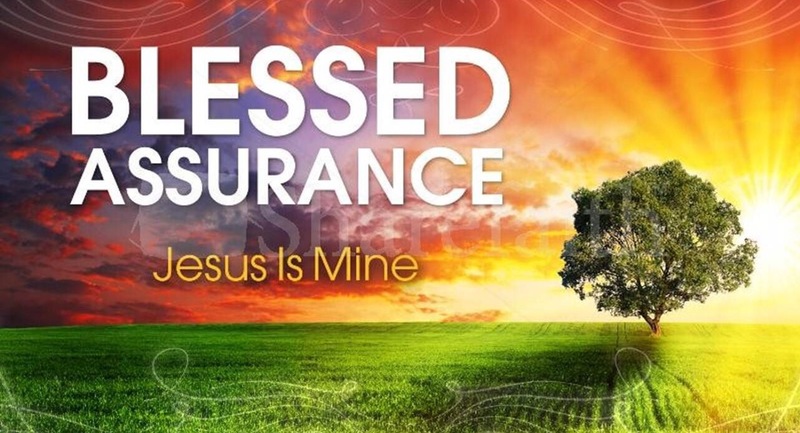 The moment we begin follow God, there will always be an assurance of His divine protection so that you don't become plagued with the suffering and turmoil of life. All that is necessary for one's survival is already guaranteed in God. For reasons best known to God, there are certain things that He will not reveal to you. He enjoys giving pleasant surprises to His children. He always gives those who serve Him more than they bargained for. When I was answering the call to ministry, I never knew God was going to bless me as much as He has done so far. All I was after was just to love Him and serve Him with the whole of my heart, because I was glad He had rescued me from the wicked hands of the Devil. But God decided to bless me beyond measure. My greatest dream was to become the youngest Vice-Chancellor of a University. But today, that dream is a child's play in comparison with what God is doing in my life. All you need to do is to live a life of holiness and everything will work out in your favour. By the time Joseph finally arrived in the palace, he must have felt far better than he had ever imagined. But remember that Joseph had to contend with those things that were capable of hindering his glorious destiny. There is no challenge or sin that God cannot give you victory over as you trust in Him. Just turn to the Lord and ask Him to help your weakness. The moment you do this, you will see better and bigger victories emerging on your behalf. God will never forsake those who trust in Him. The assurance of every believer in Christ Jesus is that God will never turn His back on His people. There will be a guarantee of protection when you are under any attack. He will protect you to the point that you will pity your attackers. He will openly manifest to all that you belong to Him. Only those who come under His government enjoy His benefits.